It looks like Tom Cruise will be packing on some serious poundage for his next role. The actor is reportedly circling a biographical action drama set in the 1980’s called Mena. Cruise would prospectively play a real life drug smuggler-turned-CIA asset named Barry Seal, who played a role in the events of the U.S.-led efforts to subvert the communist Sandinista government. According to a scoop by Deadline, Cruise is currently in talks to nab this starring role as a very un-Maverick-like pilot named Barry Seal. Should the deal be set, Cruise, who is currently wrapping up his latest turn as super spy, Ethan Hunt in Mission Impossible 5, will shift over to Mena playing another, very different kind of spy. The film would also reunite Tom Cruise with his Edge of Tomorrow director, Doug Liman for a film that, while based in real events, should carry a good measure of cinematic action and possibly a degree of humor. If Liman’s clever (although underperforming) alien-invasion/Groundhog Day amalgam serves as any indication, we could be in for a film that subverts the conventions of most historical dramas as a character study of a man in the late Seal who was essentially a drifting rogue former military pilot who found himself caught between the proverbial rock of a secret Government agenda and the hard place that was an infamous Columbian drug cartel. Seal’s story was certainly full of life-threatening drama. Fired from TWA, his post-military piloting career would take a dangerously seedy turn when he began operating his very own drug smuggling business out of an airport located in what will be the film’s titular town of Mena, Arkansas. Equipping his aircraft with the most expensive communications systems money could buy, Seal was raking in some serious snow-dough until his operation was finally grounded after a run-in with the DEA. This, of course, was just the where his story really gets interesting, as he eventually finds himself avoiding jail time by becoming a U.S. Government asset against the Medellín cartel. The intel he would gather would help shape the landscape of the U.S. attempt to bolster the cause of the revolution against the communist Nicaraguan Sandinista government, leading to one of the most infamous political scandals of the 1980’s, The Iran Contra Affair. This should be a rather interesting turn for Tom Cruise. 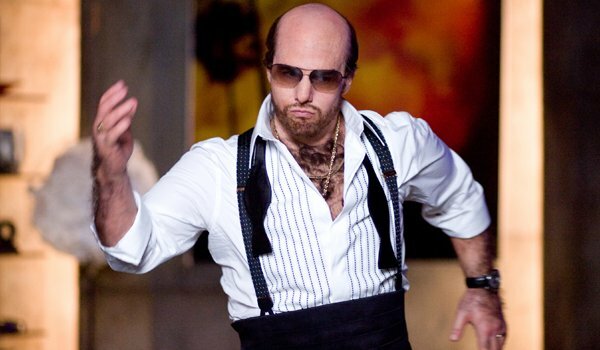 Will we see him hilariously channel his brash, heavy-set, head-turning role in 2008’s Tropic Thunder as slimy studio exec, Les Grossman? While the topic is clearly serious and potentially political, the fact remains that he’s going to be playing a man that was reportedly walking around at 300 pounds. (Though it is extremely doubtful he’ll pack on that much pudge.) The uncharacteristic physical turn for the 5’7" 52 year-old Cruise will undoubtedly subvert a lot of the potential seriousness of the role and many-a-movie-goer will be carrying "Les Grossman" in their minds going into the film. Considering that Seal’s communication pseudonym with the cartel was "Ellis Mackenzie McPickles," clearly this is not a film that will be taking itself too seriously. Mena will have Tom Cruise once again feeling the need for speed. By way of grease burgers and shakes while he prepares for the role. No release date has been scheduled as of yet.